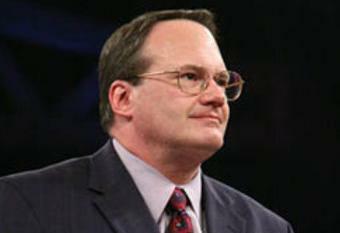 Jim Cornette called in to the BoredWrestlingFan.com studios this week to talk about IHWE Old School Hustle, Sunday September 28th at the Cendera Center in Fort Worth, TX. He tells us how he got involved with the promotion, and updates us on everything else he’s got coming up as well. The conversation turns to Vince Russo and his involvement with the downfall of TNA Wrestling. Jorge joins the conversation and we talk fast food and hear a story about the infamous Dairy Queen incident. Tune in!